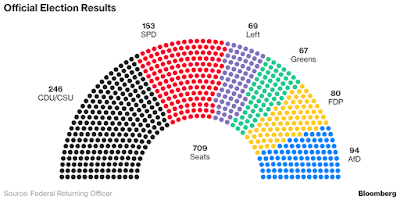 Two of Germany's major corporations, Siemens and Volkswagen, expressed concern with the election results through their CEOs. Merkle's immediate task is to shore up confidence in the German economy as the euro dropped on news of the election results. 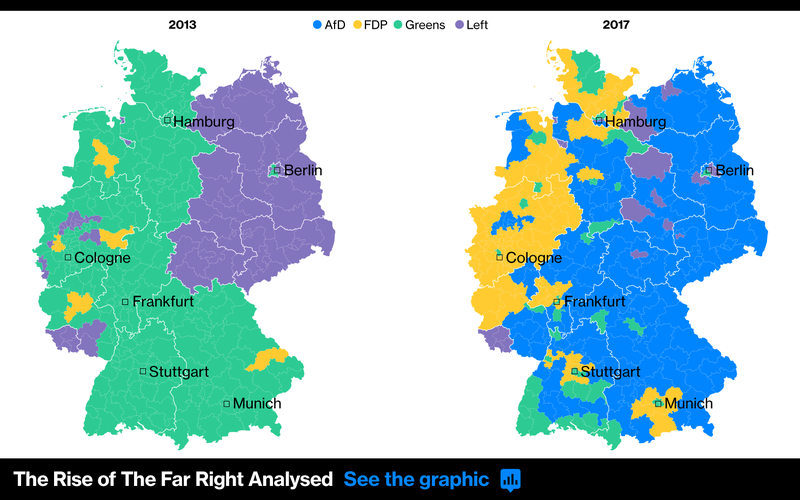 Coalition building will take months and the alt-right party, which ran primarily on the issue of immigration, promises to be difficult to handle. 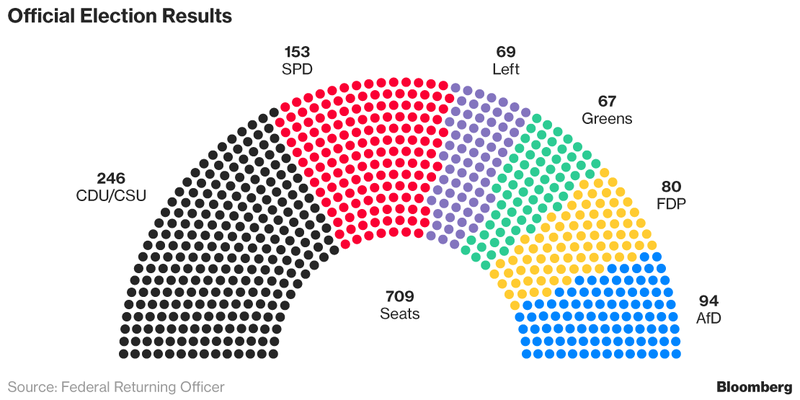 No other German party will work with the fractious new-comers to the Bundestag.